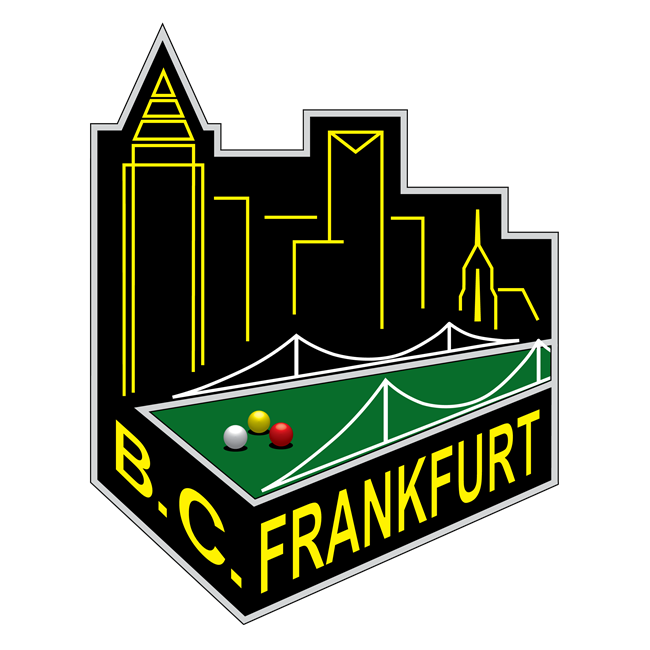 english - pool and billards club frankfurt 1912 e. V. – Billard Club Frankfurt 1912 e. V.
Are you looking for a billiards club? Are you interested in competitions or just want to have some fun in your spare time? You are welcome to step by. We are just here to have fun too. Our private club is members only. Guests are allowed unless they come regularly. We pay attention to keep our material in best possible condition. Tables are cleaned on a daily basis. We also invest time in training of our members, to the extend they want. Personal development is fun. Enjoyable tables too. In addition we want to strengthen our camaraderie. As a team we are stronger. So we also spend time together, improving our club, or just watch a thrilling match on our 50″ TV. If you are an expat and a loner, pay us a visit and become a member to our family. A full membership costs 40 Euros per month. Members can get a club key, so that they are not bound to opening hours. Our beverages are priced exceptionally low. For legal reasons, official documents like application and charter as well as official club proceedings are in German only. In case of questions we can explain them to you, or you get them translated on your own.